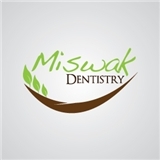 Miswak Dentistry (Chicago) - Book Appointment Online! We are a full-service, boutique dental office serving every single member of your family. We specialize in comfortable and effective care that will keep you healthy, smiling, and looking your best. We are dedicated to offering friendly and individualized for everyone who walks through our doors. Our specializations include Cosmetic Dentistry, Oral Surgery, Endodontics, Orthodontics, Dentures, Crowns, Pediatric Care, and more. A trip to our offices can resolve most of your dental worries and usually all within one appointment, so that we can get you back to where you need to be looking and feeling great! We are available at our office by phone or walk-in during regular business hours, or feel free to email us through our contact form at any time in the day. Amazing!! Awesome doctor and staff! Super friendly and everyone made me feel comfortable!